With the field of holistic and complementary medicine gaining popularity we’ve gathered some advice for pet owners looking to try animal aromatherapy in their homes. Always follow the advice of your veterinarian, only they are qualified to prescribe the use of alternative medications such as essential oil aromatherapy 1. Are Essential Oils Safe for Dogs and Other Pets? Essentials oils are heavily distilled oils produced from plants. They contain active compounds found in the plant in high concentration. They are biologically active and should be treated with the same care and respect as pharmaceuticals. A number of essential oils have beneficial properties and are suitable for use in dogs. 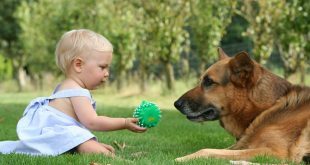 Dogs are much more sensitive to essential oils than we are, so they should be used with caution around your pet. Essential oils are typically safe for dogs if heavily diluted (e.g. 1%) and they are not given orally. It is important to note that if you have other pets in your household, you should avoid using essential oils. Cats in particular are extremely sensitive to certain oils. Many essential oils are toxic to cats. Essential oils can also be toxic to fish, reptiles, birds, rodents and small mammals. Always consult a veterinarian before using essential oils to treat a condition. Only use essential oils on dogs, most essential oils can be extremely toxic to cats and other pets. Never use neat essential oils, dilute to a 1% concentration with a carrier oil. Do not use essential oils orally or apply to drinking water. Always monitor your pet during/after essential oil use for symptoms of toxicity or signs of distress. A typical water diffuser, disperses essential oils in a water mist. 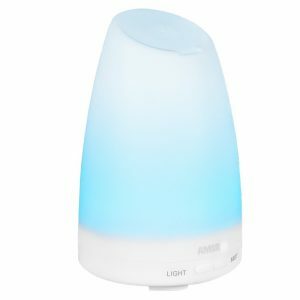 Diffusers work best with neat essential oils. Because our dogs are highly sensitive to essential oils, one or two drops in a diffuser is all that is needed. Never exceed more than 20 drops of essential oil per 100ml of water (1% dilution). Always monitor your pet when diffusing, for any signs of distress. Do not leave your pet alone in the house with a diffuser running. Leave doors open so your pet can retreat to another room if they do not appreciate the smell! Never force your pet to inhale the diffused oil. There are many essential oils that have beneficial properties when applied topically including; antibacterial, antifungal, soothing and healing properties. A dog’s heightened sensitivity to essential oils means that if using topically, essential oils must be diluted in a carrier oil (e.g. grapeseed, coconut, olive, avocado). A carrier oil is not biologically active and dilutes the essential oil. Essential oils will not dilute in water. A single drop of essential oil should be diluted in 5ml or more of a carrier oil before being applied topically. This ensures a 1% or lower dilution of the essential oil. Perform a spot test first to see how your pet responds to the essential oil. Heavily dilute it in a carrier oil and apply a couple of drops to the back of the neck. Carefully observe your pet over the next few hours. If your pet shows any signs of distress or develops a reaction at the site of application, cease using the oil and was the area with a damp cloth. With topical use, it is possible that your dog may lick the area and ingest some of the oil. As long as the oil is used sparingly and has been heavily diluted this is unlikely to be an issue, however you should monitor your pet closely if this occurs. Keep essential oils out of reach of pets, they can be toxic if ingested. Make sure you have 100% pure essential oil, not a fragrance oil. Spot test with diluted essential oil to check for any reaction. Rinse the area if a reaction occurs. Never use undiluted oils e.g. Raindrop Therapy, always dilute in a carrier oil. Do not add essential oils to drinking water as the oil does not dilute and will rest on top. Essential oils should be used sparingly on dogs as they are more sensitive to them than we are. Excessive use can lead to sensitisation and irritation of the skin. Always monitor your pet during/following essential oil use. Signs of distress to watch for include vomiting, diarrhoea, lethargy, excessive drooling/salivation, seizures/tremors. Do not use in delicate areas such as around eyes, ears, nose and other mucous membranes. Avoid using essential oils over a long term period. Give your pet regular breaks. 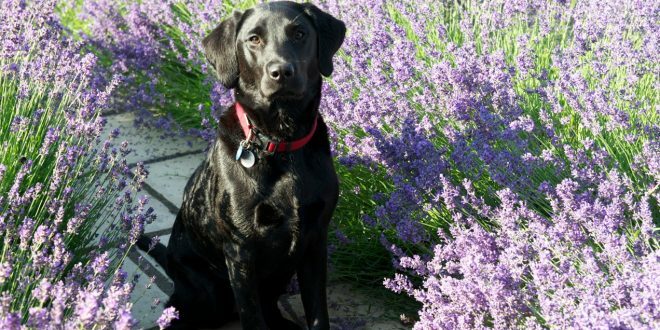 Are Essential Oils Toxic to Dogs? In general dogs tolerate essential oils well if diluted and not given orally, however, some essential oils have caused cases of toxicity in dogs. The Pet Poison Helpline lists tea tree oil, pine oil and pennyroyal oil as poisonous. There are a number of cases of tea tree oil toxicity, but this is mainly caused by using the neat oil on the skin. The toxicity of essential oils depends on their concentration, which is why it is important to heavily dilute them. Even tea tree has been used safely at a 1% concentration. When buying essential oils, avoid low quality essential oils which may contain additives or impurities. Some of these can be toxic or act as allergens. Also watch out for fragrance oils, which are chemical blends that mimic odours and have no health benefits. Always monitor for signs of toxicity, even when using diluted ‘safe’ oils such as lavender. Symptoms of toxicity include vomiting, diarrhoea, lethargy, excessive drooling/salivation, seizures/tremors. The field of animal aromatherapy is still new, and there are many varying opinions on the internet. These guidelines will give your pet the safest possible experience with oils, but always do your own research on individual oils first, before you use them. Best of all, speak with your vet before venturing further. If you’ve successfully used essential oils on your dog, please share your experiences in the comments below – let us know what oils you tried, what method of application and most importantly how your pet responded to them! If you’re looking for more information, you can use this link to get a free 30-day Audible audiobook trial where you can download and keep Essential Oils for Dogs by Kate Anderson. Or take a look at Essential Oils for Animals by Nayana Morag, which is currently the most highly rated essential oils book on Amazon. I make a powder with essential oils and arrowroot powder, it makes them smell fabulous when they just stink and don’t really need a bath. I use lavender, ylang ylang, and mandarin with one drop a patchouli. I have been using eo’s for about 6 years. Its calming as well as smells great and I have one female that is very nervous. It helps with that too. Be sure you are buying from a repretable company. I order from Ananda Apothecary… I don’t use the companies that are almost like a ponzy scheme. No thanks…they say that their oils are the only ones that can be ingested but NO eo’s are regulated by the FDA so they cannot really prove that.